Todays short post will come under the heading of taking some… a lot of credit where it’s not deserved. You see, FirstDown PlayBook has drawn more football plays than anyone else on the planet. (any challengers?) That’s not as much of an arrogant statement as it is an embarrassing one, but nonetheless, it is true. We have been drawing football plays for the better part of our adult life and that’s why we are pretty darn good at it. It’s also why we were so dissatisfied with the drawing tools that were out there in past years. Fast forward to today and you will see that we obviously decided to do something about it. Now, back to the part about taking credit where it’s not deserved. Granted, we went out and found the best developer in the city of Austin, Texas to get this done for us and we should get credit for that. However, when you start drawing football plays with FirstDown PlayBook 2.0, you immediately see how easy it is, not to mention how it makes you look like you have spent some time as an NFL quality control coach! FirstDown PlayBook cannot take credit for that. That was WorkHorse Marketing in Austin Texas. 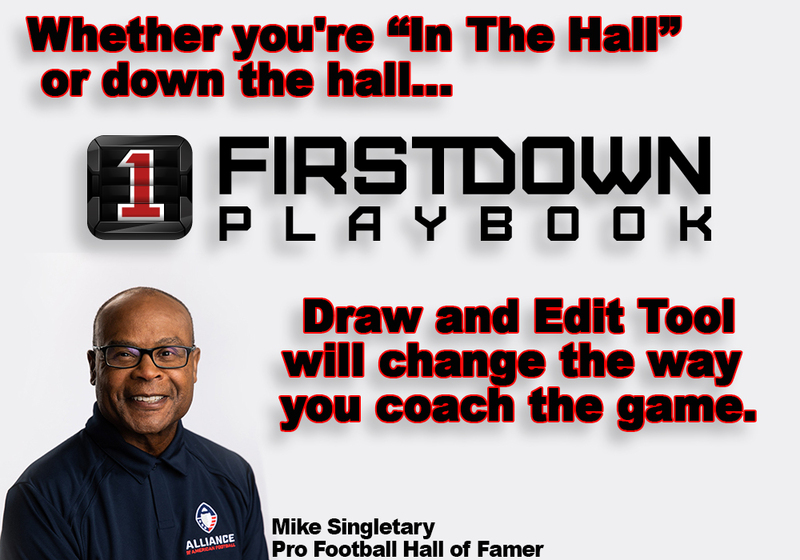 So when you combine the the years and years of football drawing expertise of FirstDown PlayBook with the unbelievable technology that WorkHorse has provided, that’s how you come up with something as powerful as the FirstDown PlayBook 2.0 Draw and Edit tool.